Also around the end of Autumn Janne and I were working on a cool project and shot photos around our home towns. Hopefully I can write some more about that soon. We also came across this pretty place. Such a beautiful background for some outfit photos! Plus it matches my skirt very well. I got this skirt for a while now, and already word it in this outfit post. It has become one of my favourites and I'm wearing it a lot. Mostly combined with a nice knitted jumper and my chelsea boots or Dr.Martens, but this time I felt like combining it differently. A striped top, a light coloured but thick cardigan and my black ankle heels. Something very different from what I usually wear, but I must say I like how this look turned out. What do you think? Ahh wat een leuke foto's! je rokje is echt superleuk! 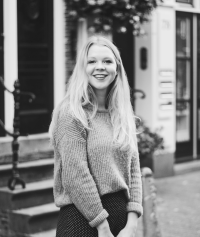 Wat een leuke look! 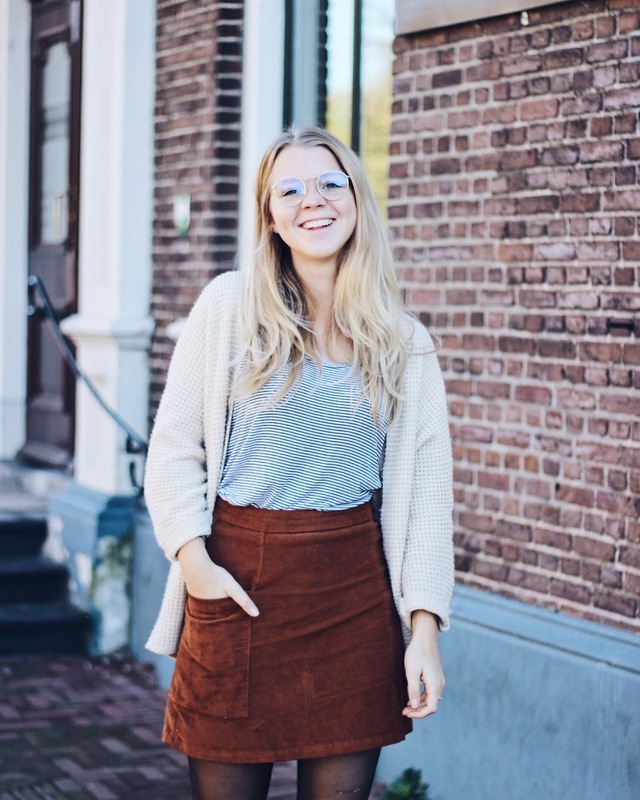 Die bril staat je heel stylish!